This energy update is a response to from the Akashic Records asking about how the month of April will be for the wayshowers. In response, I see images which are decoded and multidimensional while words that I hear fly out of my fingers as I type. The first image is of a sheep jumping off a cloud. It reminds me of counting sheep when you cannot sleep. it is a metaphor for having crossed through a hazy period, the cloudy period which was March, being influenced by Pisces. As April progresses, clarity comes back, especially after the Sixteenth of the month. Mercury has just turned direct today on March 28. You will feel the momentum pick up and by midmonth, things will go normally like communications and electronics working. It is like we have been in our own private energy bubbles in which we came to understand ourselves better, including our patterns. Is anyone talking to themselves this past month? If so that is perfect. We are in communication with ourselves, our higher selves, our inner children, and our bodies. Have you noticed some difficulty communicating with others or others understanding you even if it seems like it should be simple? I have. It seems like we have been in our own little bubbles and we are coming out, finally. An image that arises to explain is that these bubbles are the higher dimensional bubbles floating like effervescence in a bubbly drink rising up to the top. We are like sparkling bubbles in a glass rising to the top and popping. When we pop, we have come up for air and we are merging with the Oneness of Source. Think "buoyancy" which is one quality the past month has had. We do have emotional times to navigate, and the bubbles get shaken up and overflow and pop. What if I keep going back to 3D and then to 5D again? I sense that this is common and most everyone is going through this to one degree or another, and it is part of the process. Stuff happens, stuff comes up, sometimes in interaction with others, and then we float up again. More master with more neutrality, observation, letting go and surrender is coming in for us in every situation. A trick is to observe ourselves and be in it, wherever we are. No self-judgment, only love. Then listen to our higher self, our still inner voice as what we need at any moment. It may not be what is on the to do list after all! It may be something else so listen and be sure to give yourself spaciousness and TLC (Tender Loving Care.) We have less capacity to fix other people's problems be cause we are so called with the to help ourselves now. The trick is to go back to our happiness bubble and we can do that by feeling it; feeling what it like and then we go there. We can talk to our higher self better than ever and it answers with feelings. What would feel good right now higher self? we really have to indulge our higher selves more than ever. It has been an exhausting month of upgrades but not "grueling" exhausting, but more "exhilarating" exhausting. As we go through this, there are emotions that come and go and we may have had ups and downs. Breathe, be in the now, ask what would feel good next. Sometimes we feel like we can't even know until we tune inward. That is why this mercury retrograde has been a huge gift for us to feel what we want and listen within. We have been forced to slow down in an accelerating world. Things are turning up accelerating, as frequencies are rising and that makes time crunch even more. But it will feel satisfying like we can move forward and flow into what wants to happen. Do you see how we are not planning so much as improvising these days? Do you see how nobody really knows what is going to happen? We are in for the ride, and in the moment we handle everything though it can be the unexpected. This month be prepared for the unexpected. Go with it, don't try to control it. Just allow what is to be and see how better opportunities are being presented. Breathe and choose what feels good. Go with contentment and satisfaction. Follow your heart. You cannot get it wrong. Don't think it out too much. Intuition, instinct and your heart are the guides. Everything else takes the back seat. In March you may have felt isolated and felt the intensity of the solar upgrades, the CME's and the Schumann Resonance spiking and becoming record-breaking with a high of 150. Our bodies, our emotions, our minds all feel it intensely. It may have left you more introspective and tired than usual. March may have brought emotional stuff up to deal with. Seeing an engine with a grain of sand in it and you take that grain of sand out, and then the engine runs fine. That is how finely tuned we are - we are so sensitive and we have to clear to stay in alignment. What needs to clear are our unconscious shadow emotions that are under the surface. They are coming up and we feel them and acknowledge them. Then vrooooom, the engines of our vehicles (aka human bodies) are up and running again. It is a metaphor, you see. What to expect in April? Expect the unexpected. You will regain communication flow. You will feel more on the ball and less in a floaty cloud that obscured reality outside of you, like last month. Yes, the upgrades will keep coming and they will challenge everyone. Yet there are more potentials for bliss and releasing our entire past and expectations. This act of surrender takes us to a new place of flow, of trust in the universe and in internal alignment with the external. That would be the theme for April to come- Internal and external alignment. I am seeing some gears within gears that remind me of Tzolkin calendars in the Mayan Long Count and how they interact like gears. The Tuns, K'atuns, and B'ak'tuns (cycles of time) work within each other. It is like the outer world aligns and reflects the inner world. That is why the peace through introversion and rest in March contributes to the outer and inner aligning. And if they are not, it like the grain of sand in our engine- it won't start up right or will sputter. We are called to be in alignment with ourselves and our universe and we have help. Remember that the inner world creates your outer world. The outer world is merely a mirror to what we have going on inside. Take time to be with yourself, to be contemplative. Remember a large serving of gratitude with everything. And forgive as soon as you can, like whenever you have a judgment. That way you are emotionally clearing before anything gets sticky and slows you down. We are in a new cycle within a larger cycle and I see us at the top of it coming around to a 12 O'clock place in the circle. The images come through in multidimensional metaphor, not in literal translation here. This points to an evolutionary Nexxus point, a time of shifting toward the light. It is a time of great time acceleration in which so much is happening and you can see events in your own life and the outer world unfolding. There is a way to deal with the rushing and trying to catch up and we may have tasted and practiced this in March. It is to slow and be in the moment and breathe and listen to what our heart wants. This may mean our everyday lives as we know them to fall apart and make room for something new and better. The other message that is so important is to pay attention and go toward what we want, not on fixing the broken or the obsolete. Let it go and go toward that which thrills you and excites your heart. Follow that and all is well. The world changes swiftly and the April we begin with will be different than the April we end with, but in way we won't notice because each day and each moment, as a multidimensional journey through time and space is so rich, so full that we are processing on the micro level all the time and don't notice the macro so much. We are making quantum leaps and our memory isn't storing and tracking it, but it is true on the level of ourselves as individuals and the collective. Do not fear change, but celebrated it and flow with it. This is a time of great change; have you noticed? All of you beautiful souls that you are being asked to surrender more fully to the higher plan as it becomes more visible all the time. Let yourself be guided by Creator and your higher self. Know you are loved and supported and meant to be here. May the world evolve toward more light and more love, and may all beings be happy. Prayers for Mother Earth and her air, waters and earth be returned to the Divine Blueprint. May you have a wonderful month in which you feel your heart, notice your quantum leaps, and be in the flow of the universe with great ease and so much grace. May we all be taken to a higher level vibrationally, and so it is! Published March 28, 2019 for April. PS I would love to hear how you are doing and what you are seeing, and how March was for you (if you can remember, LOL.) We put our intel, the clues of the puzzle together and it starts to make more sense. What exciting things are happening on the planet? Are we in a new energetic place? A big resounding yes. Change is here. Can you feel it? From Sacred Scribe Angel Numbers website: "Many people associate the repeating 1111 with a ‘wake-up call’, a ‘Code of Activation’ and/or an ‘Awakening Code’, or ‘Code of Consciousness’. It can also be seen as a key to unlock the subconscious mind, and reminds us that we are spiritual beings having a physical experience, rather than physical beings embarking upon spiritual experiences. Upon noticing a frequency of 1111’s appearing repeatedly, you may begin to see an increase in synchronicities and unlikely and miraculous coincidences appearing in your life." Message from 11/11 Gateway time: Tune in with our own heart. Say your prayer for yourself, for your family and friends, for your town, for your world. Say a prayer for those who are suffering, for those who feel lack, for those who are sick and need healing. Say a prayer for those who need more ease and more joy. Say a prayer of love and send it into the world. Shine your light. Tune into the messages of the universe. Tune into your own heart. What was the energy of this recent 11/11, an energetic gateway? The message and images that appear: This world needs your love. This world is going through a metamorphosis, like a giant seed, the earth cracking open and shedding the cell. What is alive, the germination is breaking her shell off. In the center are the crystalline seeds that are shifting consciousness. People are waking up to deception and illusion. People are opening to the light they are. People are willing to see truth now. Finally the hundredth monkey effect has reached a tipping point. We are in for change, people. Since then, a cosmic upgrade for planet earth has been in progress. How that looks is up to a myriad of timelines we choose, and we choose in every moment. What navigates us through the chaos is our hearts. What helps us choose the highest and best timeline for ourselves and also our world is to remember kindness, and to remember to embody presence. We can look into another person's eyes and hear them out and listen through the eyes of our hearts. Through the eyes of our hearts we see. A change is that this week the world may be at a technological singularity. A technological or AI singularity point is the place in which technological advances go quantum. In other words, we advance very quickly as a world and it was said that point is this week. This is so exciting! I am imagining the free energy possibilities, sustainable energy solutions. I am seeing technology that brings positive change to the environment and everyone, making energy affordable. I heard about this AI singularity point approaching through an interview with an expert on Blockchain and Bitcoin (a cryptocurrency) who was speaking of the new Artificial Intelligence robot Sophia that Saudia Arabia is making the first planetary robot citizen. AI exists everywhere and is a part of the fabric of our world now and becoming more intelligent than us. On one hand this could be scary, but on the other hand, we are the glitch in the matrix. Trust that the divine energy and cosmic intelligence is bringing earth to a higher level and that the technology can make our world a better place. Choose love over fear. A change is that we are opening the layers of the onion that exposes corruption by those in control of the resources of the planet. We are exposing the hidden stuff that will be challenging for many to stomach, and will blow people's minds as they learn the truth. We are on the verge of E.T. disclosure, and so many things that will come out. Update: A theory I heard from Gregg Prescott, the creator of the In5D.com today is the idea of a singularity point in consciousness in which everything has sped up and spiraled into one timeline which is what he sees us as having stepped into on 11/11. He references Terence McKenna who had the Timewave Zero theory on the collective reaching a singularity point. Another way concrescence is happening is that timelines come together as one so that we are experiencing one eternal now moment, the singularity point. I feel like this is happening in each person's consciousness one way or another. We are heading toward all experiencing that one eternal now moment in unity. You may see it in life in which you are in the flow and show up at the perfect place and perfect time, or somebody else does and it is magic. The concresence, the singularity point, the shift is all about living this synchronicity and magic! Some may be losing the memory of the past and are able to only be in the now. Past and future don't play into thoughts. More mindfulness, more presence, more dropping into every now moment. It is beautiful that the light is getting stronger within us. Our connection to source grows. Meanwhile, outer events in the world may be disturbing and pull at us, maybe being upsetting. You who know that we are going through an energetic shift on the planet are the lighthouses. Be strong in your light. Keep the flames of your heart’s burning. Burn your inner flame of your own light. Make sure you have the fuel, the soul nourishment you need for shining your light. Truly ask what nourishes your soul? What helps you stay happy? Through your connection to source, through meditation or being in the sun and nature, or however you do that divine connection process. It is unique to everyone. This is essential in these times. The other thing that is essential is feeding our mind with positive input, like words or music or silence. Turn off the negative fear based anything even if you feel you might miss something. If you need to know something, it will come to you and in the meantime you will be happier and more peaceful. Unplugging reboots you and connects you to source. Feed your spiritual body with your connection to source, your mental body with inspiring words and sounds that feel good. Feed your body with high vibrational live foods full of life force. The world is going through a detox, letting the stuff that is deeply hidden come to the surface, so we may be guided to do our own personal detox of getting rid of what is in our bowels, our lymph system, eliminating the toxins we don't need for our full vibrancy. Our physical body needs the fuel so ask your body what it needs. Your body may call you to move and exercise or rest and slow down. You may need some deep rest or some getting up and moving your booty. Feel into it and do what helps you shine your light on all levels. And of course our emotional body always needs attending to with expressing and moving our emotions. Our inner children need to be listened to and honored. It may mean that we take more time going inside to attend to what helps our lights shine. It may mean we disconnect from others and simply don't have the "bandwidth" to show up for everything that shows up. As after all, time is so speeded up, we become selective to what we pay attention to and respond to and who we focus our energy on. Focus our energy on filling ourselves with love and joy, and finding time to play is always important. The dolphin collective agrees. From this place of radical self-care, from filling ourselves up so our heart flame is burning, we feel good. Feeling good is the place where we can smile at others easily, where we have something to offer. When we do, we can offer loving presence and show up for others with loving kindness. When we are in the space of presence, we can make eye contact and offer validation to others that we meet. Everybody needs love. We are love and we are remembering that we are love. On one level, we don’t really need it from outside ourselves, as it is always coming from source and it is what we truly are. Everyone is. Those who remember that they are love can extend it to others so that they too remember. A funny thing happens to time when we get in our calm place which is that time may have seemed overwhelmingly speeded up will suddenly slow and become more spacious. Has anyone experienced these phenomena? It is happening more and more. It is like we have gone from the hurricane winds to the inside of the hurricane where time is streaming so quickly at unbelievable speeds. Time is a malleable construct. It is created from inside us. Our job is to be the centers of calm in the storm. We may need to detach from news, unplug. We may need to detach from others and their drama. We need to keep finding our personal happiness bubble no matter what is happening around us. In any given moment, ask the question "Am I in the calm or the storm? How can I shift to the calm center of myself?" Shifting is easy- we notice we have left and choose to go back to the center of the the calm storm. Our spiritual practices help us to be in the calm of the storm. We absolutely need to hold the hope for the world, the trust that divine intelligence is bringing us all to a higher place and we are doing our part in that. We need to find our peacefulness and hold the frequency of love and peace. Love and peace and joy are the frequencies of the new paradigm. Those who are awakening need our anchoring. Feel the cosmic downloads of light every day. Invite and affirm your connection with source. Let yourself be heart guided in all that you do. Do what helps you feel your heart's resonance and love for yourself and all beings. Update 2: This is a card that I just drew from the Dolphin Divination Card Deck as confirmation of what I just wrote, adding too it beautifully. May you all be in a magical flow of synchronicity, feel your calm center. Meet you in the heart in the one eternal now moment. Communication was not working so much with others (in the Retrograde period before September 5th,) but I found others accessible on the inner planes and so much was worked out in that realm. Then once Mercury, the planet of communication, moved direct on September 5, I was able to have direct conversations in a new way. I had the energy to reach other to others. Meanwhile we were hit by fires in the Northwest, by Hurricanes in the south, and by earthquakes around the world, particularly in my beloved country of Guatemala and also Mexico. Floods have happened all over the world in this time. There was an X class solar flare, one of the strongest in a decade and it sent photonic particles that effected earth landing to September 8. As of September 14, there are more solar flares and another big one about to arrive to earth. The Axim “As Above, so Below” is evident as truth. The storm happened in the solar atmosphere, and was sent to earth and reflected in the earth, a smaller body than the sun with storms intensifying. We are the bodies that reflect the earth and the sun. If you are feeling stuff then maybe it is you being a reflection of these greater bodies of energy. We collectively have the power to change the earth and everyone’s experience. We can make more peace on earth with our intentions. Back to Solar Flares: They trigger earthquakes, they make hurricanes stronger, and who knows about the wildfires. Meanwhile there are whispers of weather modification being possibly to blame as spoken by acclaimed scientist Michio Kaku . This is part of the story that includes the metaphor of "shadows being exposed" through the event which was the Full Lunar Eclipse that happened on August 21. So many viewed it online and in person it became a focal point of collective consciousness. Many things are coming to light. An interesting soup of weather modification, the solar flares effecting human consciousness, and human collective consciousness itself sending prayers and focus toward lessening the events to the hurricanes and fires. Storms are about transformation and purification. Rain came in the Northwest as an answer to collective prayers of those effected, or so it seemed to in my own experience here in the Northwest. It is clearly a time of change. The storms are a representation of the change, from hurricanes and floods to wildfires and devastation to earthquakes. Mother Earth is rumbling. Some are supporting all life as a part of her and there are those that want to manipulate what is happening on her surface and actually seed that which may destroy life and nature and homes. It seems the mother supports those who support her and life on her and wants to shake off that which opposes this. In her view, she may be cleansing and rebalancing. Yet, as a human on the planet, is an intense time to be witnessing all of this. It can also be seen an opportunity. The opportunity is to discover the shadows and the truth behind them and what may be happening behind the obvious and the surface. Let’s go deeper into exploring the greater patterns and let’s go deeper into our own self-awareness and what is unconscious. Awakening is allowing that with is unconscious to become conscious. It takes courage and discernment. There is a mass awakening triggered by the eclipse. It will expose personal truths, how we have been out of integrity to the greater whole, and how powers that be have been out of integrity. We are able to clean up our own act, make it a more congruent expression, the expression of who we are. Maybe this means apologizing, telling the truth more, being able to put the others before us, to consider everybody's well-being and perspective beyond our own. In short, we are called to live the Golden Rule of "Do unto others as ourselves" in a deeper way. Truth is being brought forward to explore and discover what we think about it. We have a choice to be in the winds of the hurricane, feeling the full force storm. We can be in the edges feeling the drama of it but not as effected yet still tossed around. Or we can be in the calm center, the eye of the storm. In our lives, we can keep returning to that eye of the storm, the calm center of ourselves. Nature presents the perfect metaphor for the world we can choose to inhabit. That is a personal analogy for our inner selves in the midst of whatever outer chaos. Meanwhile, the truth is these situations are affecting real people, the earth and animals and they need our love and support and prayers. After all, they are us, as part of the one soul. Let us remember oneness and feel oneness, others as ourselves. If you are able to be calm in the midst of the storms around you, you are benefiting yourself and the planet. The other thing that the eclipse triggered personally is a download from the moment just after totality that I experienced. This was from the moment of darkness, a black circle of the moon's shadow over the sun to a sliver of sunlight pouring out in brightness. A thought I had was "The sun is breaking open and seeding the people with remembrance of their soul, and of the One Soul that is everyone." So indeed the golden rule is that all others are ourselves and we are here for all life which is one life. It is a triggering of the awakening of consciousness, that eclipse and subsequent Solar Flares and world events. It is all to bring us to our hearts and our heart's knowing. Are you having new thoughts bringing you to a more expansive understanding and a higher level of love? Have you been experiencing new downloads? Are you showing up in the world with a new perspective? There may be thoughts we are having that were not accessible to us recently. Maybe we are changing how we look at the world. It is all good. There is a feeling the eclipse may wipe out the hard drive of who I thought I was/and AM. It may bring forth a new octave of experience. because all living things have to get by. Wake up humans and clean up your mess! And the circle of life goes round again. we are the living out the old. on the canvas of divine. We passed through a window in the past week in which energy has been intense again. Some may have had pains or sprains, fevers, emotional release or old patterns, emotional ups and downs, feeling agitated or angry for no good reason, feeling sad, feeling electricity in their bodies, or feeling tired. I felt emotional and I felt tired. In Mt.Shasta, a sacred vortex area of the planet, we notice things. I noticed that 3 of my friends had posted cloudship photos of sightings above and near the mountain. Lenticular clouds gather and are thought to be cloaked lightships. I am including a couple here and also a ray of light coming down diagonally to Mt.Shasta. The three photos above were taken by Deborah Cardenas recently. We felt the energy intensity and shared our experiences, noting that something big was up! What has been going on in the higher levels? Why are we feeling this way? On the higher levels, there are many beings of light working on our behalf. In Mt. Shasta we are noticing something crazy stuff going on! We sensed that this was the case so many were called together to find out what is going on. What we found out was magnificent and profound. I am so excited to share it. To access information and experience multidimensional sensing, receive healing and attunement, we tuned in to Telos in a shamanic drum journey. Most of what I share is my own vision and perspective of experience, but it is confirmed by others seeing the same thing in their own way. We discovered that the Star nations including the Arcturians are supporting us and gathering thus the sightings of cloudships. One person who is a channeler of a book about Telos with the Lemurians shares that ascended masters from Lemuria are meeting too, and they are doing ceremonies that change the energy of the entire planet. Some of us have come together to see with our multidimensional senses what is going on on the planet and in Mt.Shasta, and underground in the Fifth Dimensional City of Telos underneath Mt.Shasta, which is legendary. We get confirmation and intel from a shared experience that takes place privately for each of us during our shamanic drum journey to Telos. Then we each share our experience afterwards. Before the journey even begins, I start having visions. I see the dream weavers, the women who weave the dreams of New Earth. They are from many cultures. What they do, in my vision is take bits of "dreams in alignment with love" which become strands of the web of life. I saw this is paper mache, constructed tubes. The strands connect to all life, plants and animals. They, the women dream weavers and also us, the collective consciousness build the web of life also they can be seen as grids of light. I saw the women taking bits of dream material and building these conduits of light for the grid so the new earth can be realized. The web of life was also the fabric of reality and at the same time made of strands colored thread. Later, in meditation, I saw the planet covered in highways of different colored lights, the rainbow rays, wrapping around the planet. Being multidimensional, it also has another representation which is that of timelines how new timelines or the highest timelines aligned with love are strengthened and created by the dreamweavers. We are the dreamweavers. I was shown that what destroys the grid or web of life, and causes it to break down is when a person or people focusing on war, on politics, on divisive things, and on watching the news. Each of us contributes to the grid, especially if we are adding our love and positivity. The governments, the control matrix, and those who promote war want us to watch the news and think thoughts of discord, anything of a lower vibration as it breaks the grids by breaking the connection of light conduits that carry light, frequency, and information via light in the Christed grids of Mother Earth. tubes/strands looked like paper mache material. Lemurians were fusing them together and mending them. The idea is like a broken electrical wire that is fused together and rejoined. Then I saw how light goes through the grid more when the strands are mended. In another image, I saw myself in a meditation position, curled up with my head down representing the process of “going within” like in meditation. 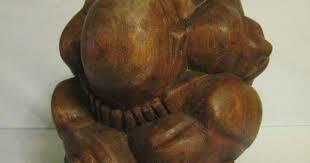 It was of the Weeping Buddha and here is a picture of a statue that represents what I am talking about. I was inside a little pod, kind of like the Matrix movies showed for humans being harvested off of the Matrix. However this was not a human powering the matrix grid in a way that takes the human's life force and powers it. It was a positive thing that was showing me how a person in meditation, dreaming, thinking or feeling in the space of love and peace will light up the grid. We are each connected to the grid and lighting it up with our positive thoughts and love, our vibrational frequency. It travels out from us as light through the conduits of the grids of light. Since we are always connected to source, we are not losing anything but being filled up with more light and life force as we offer it to the Earth's grids. This brings ascension closer and raises the vibration of Earth. In Telos, I experienced a water ceremony with water being poured over my head but it went all through me as this was a multidimensional experience. The water represents cleansing and purification. We are going through this, and the earth is going through this. Meanwhile, another person on the journey at the same time, the channeler I mentioned, reported that the ascended masters from Lemuria are working together with special ceremonies within the last week with the dates April 29 to May 1. A photo from May 1 shows this ray of light coming down to Mt.Shasta from the heavens that a friend took a picture of when she was taking cloudship photos. See the photo above in this blog. Day One of the ceremony by the Ascended Masters was about freedom, which was releasing anything that was not allowing all life to be free, which means clearing dark energies. This caused some intense energy on earth that many have felt. And speaking of ceremonies, the ascended masters did ceremonies for the water, earth and air, for the elements and elementals. This was in alignment with the experience my own personal water ceremony as in Telos, they were honoring and celebrating water. My information matched up with his. The second day healing, this has to do with assisting Gaia in further healing her grid systems as well as specific areas in which dark energies have recently been released. The day was about cleansing the earth, air and water for the benefit of Gaia and all of us on the surface. This day had to do with assisting the animal kingdoms in integrating the new, higher level energies such that they may also move through this transition with as much grace as possible. The Third Day was a day of Love, doing ceremonies about that for the planet. On this day, all participants joined together to radiate love, the Divine Feminine and unity consciousness throughout the planet. I then experienced some personal healing of my chakras which was clearing them. I felt my third chakra, my will center, having strings pulled out of it. It also had some things put back in. I was hearing that this was to remove the history/experience/and any tendency to use "power over" others, and replace it with having "power within." The will center or solar chakra, the third one is all about the right use of will, and it makes sense for my healing to center on that. However, I sense this is going on collectively and energy sensitives may notice it. Others agreed that this was a time of chakra clearing especially for the Second and Third Chakras. I also felt my Second chakra, the sacral chakra which is where the womb is for me, is about creativity, sexuality, and procreating. I felt that the energy of sexual healing for all women was being done to clear traumas and abuse. I am sure this extends to men, too. Another participant experienced being gifted a special belt of protection made of dragon scales, and given to her by a dragon power animal. As part of this journey, we call in a power animal and hers was a dragon. The special belt made of dragon scales was to protect her three lower chakras and deflect any negative energy that tries to attach onto them. This confirms the chakra healing aspect that was happening in my experience. I feel the same thing is happening in which I see the old emotional patterns from before in this lifetime, possibly others, being repeated recently and the awareness I have is allowing it to dissolve, once and for all finally. This can be an emotional experience yet very liberating. So be gentle with yourself is stuff is coming up. Do not take your thoughts and emotions personally or so seriously. Keep some witnessing consciousness happening if you go through this, of your emotional body moving through shift. It is important to really love yourself too, through all of this. I was seeing this web under the mountain in which little tremors of energy were being sent, but not earthquakes, or real tremors but energetic tremors from the lighting up of the grid to a higher level of light. The effect on us might be like earthquakes though, as it is intense and may affect our emotional life and our bodies. I asked about this, the answer is that it is necessary, and to ride the wave and not worry, we will all be okay and it is to raise the level of consciousness. One participant shares this from his journal: Much work has been completed to repair Gaia’s crystal grids and ley lines and they were able now to infuse new, upgraded energies. He said that some of the very large crystals that were buried thousands of years ago to avoid destruction are being prepared to come back online. Specifically, these new energies would assist humans around the world in activating their Lemurian DNA and also, for those who were there, that they would begin to come back into their remembrance of their times in Lemuria and Atlantis. These energies are of love and unity consciousness. This refers to the global level project and the running theme of bringing teams and soul groups back together again to participate in the great shift that is taking place now. When the information on the grid about the DNA, the ceremonies of the ascended masters was shared, I got truth chills, shivers, in my body. This is my personal sign that something is true, when somebody says something. It totally lights up my insides to feel this, in a good way. This gave confirmation to what I was seeing in parallel and reassurance of all being well. We really are shifting, people! 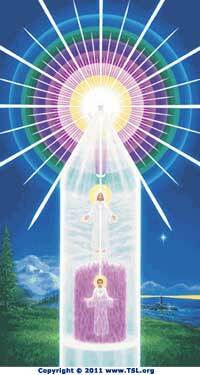 It is happening on the higher levels with our star family and ascended master and angelic help. It is all coordinated with prime creator. I saw how the Telosians were communicating with the greater All that Is, in harmony with them and throughout the cosmos. The image of a purple spiral swirl representing the galaxy and cosmos appearing in Telos underground was there. They use this galactic swirl as sort of a communication device with feedback from the cosmos on what to do when in their councils. I saw that sometimes they meditations for peace in which they send out energy to the surface dwellers. I asked what is going on this past week (prior to that day of our Telos Journey with the drum which was May 3), and the answer I got was that we were receiving DNA upgrades. We are being upgraded to a higher level. Two others got that information and images of double helixes. Outside of the Telos journey circle, another lightworker nodded her head in agreement when I shared the story. Apparently, Lemurian DNA in humans is coming online right now! How exciting! I forgot to mention that when I arrived in Telos underground, I saw a group of people that were reaching out to one another and connected. They were sitting down in a group and reaching an arm or a hand to whoever was near them, with their hands on two different people each. It was showing, in that image, the difference between Telos and surface dwellers of Earth. The difference is that they know they are connected to all others (animals being equals). I did see animals on the same level and connected to this group of people, and also know plants and stones are connected. Two of us see animals as part of the circle and connected on the same level, animals on the periphery but present and sentient beings. The other difference between here and there, and I heard this loud and clear, is that they love and support one another. Earth can seem a place of competition and aloneness where you may think you have to do it yourself. 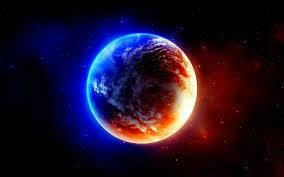 New Earth is where we have unity, love and support for one another and do not have to do it alone. Let's make that happen and call more love and support for one another into our lives! Let's make the world a place of love. It was so thrilling to see what is happening on this planet! It is thrilling to receive visions and have shared visions with others that show we are moving through something. It gives reassurance to any of us who are having a challenging time that this is an ascension process and to not take it personally, including our thoughts and emotions. We are moving through this, and we have help. We really are experiencing the shift we have been waiting for. Keep your heart attuned to while remembering the grid of light, the web of life. Know that your positive thoughts and intentions help the grid flow your light to all beings. Know that when your love flows, it brings the New Earth into being. Feel free to share this blog with attribution/links, thank you. We are here tor remind each other of home as we exist in this current home of Mother Earth. We are here on the journey, for the ride to more light, more love, and more making this planet an even greater paradise. We are here to remind each other that we are equals and turn the world into a place that respects the circle. We are learning to serve the greater whole. We are learning to share our gifts that we have hidden inside, bravely and courageously. It is time. We are learning to be truth tellers. We are shifting emotions when past memories arise of our hearts hurt. We are transmuting fear within ourselves and everyone every single time that we show up in the space of love. We are taking our power and saying no more of the old power over game, the dominance and submission or victim/persecutor/savior patterns. We call forth the perfection of ourselves, our relationships, our relation to all our relations that are other forms of life beyond our own. We see our connection to all life. We see everyone in their sovereign power and taking their place in the world. Each of you are becoming stars meaning you generate your own light like a star does. You are generators of light. You are receivers and transducers of light. Light is information. Light holds the truth, encoded and light exposes the truth. Light lifts the veils on darkness. Light is what illumines the truth. Many truths that are coming out that may shock you, may cause cognitive dissonance. Tune into your star essence. Feel your own hearts and know. Start with the truth of what is happening in your own life and how and whether it pleases you. How do you feel about what is going on in your life? Is there truth to be told to yourself? Is there truth to be told to others? Are there things you want to walk away from but have not had the courage yet? Are there words you wish to say that weigh on your heart? Now the universe is wanting to support you in creating win-win in all your life experiences with all your relations. The universe is wanting to offer reciprocity between all beings so we need to be part of the flow of life. You are called to be adept at giving and receiving to join this flow of the universe, to be within the greater flow of life. Are you being called and pulled to move on, move onto a new majestic timeline which may be different from the environment and people you usually are with? Are there places, things to do, experiences to have and people to meet that make your heart really sing? Go toward that. The timeline unfolds as you courageously follow what feels good to you. It is not fighting or resisting but going toward that which brings your joy, your dream life. Your dream life is something to feel inside you, to imagine and play with. It is always asking how can it be better? What can I imagine that would be more juicy, more delicious? You are a powerful star, a being of star essence and a generator of radiance. You are a powerful creator and you know that how you feel is so important to notice. Where are you moving forward by rote with your patterns and not feeling into what is or is not serving you? Where are you on autopilot in your life? If you start imagining something different, something different can manifest. If you can imagine it, it can manifest in your world. Anything is possible and the sky is the limit. How do you translate this into your world, your everyday life? It is about noticing how what you are doing and feeling tastes to you. It is about questioning what is working for you, or not. It is about bringing delicious tastes to your life, delicious colors, and feel good experience for yourself from a subtle level to a bigger level. It really starts with loving yourself enough care for yourself, and care how you feel. When you are down, do not judge that but feed yourself with some delicious uplifting energy via intention, meditation, an activity you love, thoughts that feel good. In short, whatever shifts the energy of you. become a master at shifting your energy. become transparent with your feelings to you and your responses to moments. It may call for making change, but it will be positive change for a better more joyful life. How can you become a star if you are not allowing your life to shine in pure joy? Inner radiance from inner joy is how you become a generator of light. connect to source in support of your shifting and changing, healing and transformation. The sun is shining and sending particles of light that are to bring you to your own radiance and inner peace. seize the opportunity hat is being given to you. release martyrdom, release have-tos and shoulds. Embrace the joy of being you and the joy of being of service to others, and also in receiving that which supports you. Be a light. Don't be afraid to shine. Be still in your own bubble and know you illuminate the world. Expand the bubble to include the entire world. Do not be brought down by those who do not understand. Love and shine for all. Be in joy. Honor and appreciate the majesty that you are. Know you are here for a reason. Love your essence as a being. Love who you are at the core, beyond anything you do. You are pure light, pure love, and pure presence. Know this in your heart and smile. PS The title of this blog is inspired by Joni Mitchells' song Woodstock, though I see it as star essence. It feels like a beautiful prayer. A recent news story from this week says this: Humpback whales are suddenly hanging out in massive, densely packed “super groups” and scientists are trying to figure out why. It’s a curious phenomenon that’s been spotted off the coast of South Africa by researchers and the general public. Their meet-up spot is far away from where humpback whales usually summer in the Antarctic. The groups swell from 20 to 200 and they are focused on one thing — feeding. The photo of many whales are having a pow wow in the ocean came to mind in this connection after seeing it and then today reading the news story. It is spectacular to imagine being there and to see the photo! Whales in this moment represent the downloading of the oversoul into individuals. This may be happening to many as they go through awakening, walk-ins of their higher selves, and expansion into unity consciousness. It is seen as shedding old skins of separation and merging into the ocean, into being connected and remembering ourselves as a part of a bigger being. The whales are doing this. That means our monad of soul family is downloaded into an individual so your beloved soul family is a part of you, within you. We are finally coming together; we are finally a part of one another. The whales coming together represents unity consciousness happening. It is also showing how the photonic light and changes on earth are effecting every form of life. We are all going through this together. Even the whales are shifting. Explain that to scientists in scientist language. It will be wonderful when science and spirituality merge as one synergistic truth. The vision of the whales together in pods, and the real sightings of them is a sign of the shift, a sign of coming together with soul family. And with that, we graduate to including our soul family within us, so that there will be experiences of forgiveness and reconciliation. It is remembering the oneness we are. It is letting bygones be bygones and returning to love. We are floating in one big ocean, represented by water, but as an ocean of love. Remember to float! Float through this time of shift which is a metaphor for not struggling, but letting yourself be led and guided to where we all make ripples of our unique frequency, from the stars, and thus impact one another. What of the coming time of the Equinox? 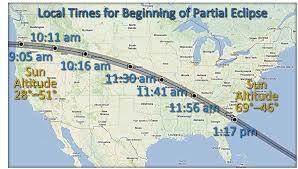 3:29 am pacific daylight time on Monday, March 20, this Monday in the USA. On this date, we shift to a higher level of light on earth. This will push the spiritual acceleration and awakening to a new level. Gateways that naturally happen on earth when the procession of the Equinox takes us to this balance point in time and space allow a portal of light, a flooding to photonic solar light codes to shower earth and ourselves. It is in service to our awakening and earth's awakening, and the grid of light to carry ever higher frequencies changing this planet. Those who are with the raising frequencies will flourish. Those who are resisting the energies may have wake up calls or perhaps crises. For many, it has already been a challenging season since just the first lunar eclipse time in February. We are going through Some of us have both as we adjust as we are often in the spectrum of resisting and letting go at the same time. You may feel pulled in two directions. Should I stay or should I go? How can I let go? How can I keep what I identify with? How are attachments serving me? You are asked to let go, let go fully. What are you still holding onto? You are asked to release anything within you that keeps you out of the light of yourself. Your light is your joy, it is your ease in being in the world, and it is your relaxed self feeling good. This means that you will want to be All In, All In to embracing the change and what this energetic gateway that is so light and so crucial , has to offer. It is a gift to you, to your DNA , to the planet. It is time to ride the wave and not resist any emotions, any sensations. Simply acknowledge all as rising, and falling . Notice the change. none of what you are feeling in this shift is permanent. All is rising and falling be all in. Notice the emotions. Let the emotions flow without judgment. Feel them. do not stuff them away. Do you know that when you stuff away your emotions, you end up frozen and constipated energetically and feeling bad? Metaphorically, you are constipated with emotion that wants to be expressed and flow out of you. Allow time to cry, time to feel, time to be in nature. Old stuff, old wounds, old traumas may be triggered only to be felt and cleared. All is to make you lighter. You don't need to carry the baggage to the other side of Equinox on the 20th. Lighten your load and release. we are going through something huge. Let your thoughts be gentle and loving toward yourself. Go with the flow. The universe has your back. You are loved and cherished. You are being given energetic support for healing of emotions from way back. What is happening? I see a timeline shift, with those who resist and those who let go. Letting go is the fastest and easiest however we are all on our way home to source. We are on the way to more love, more feeling one another as ourselves and with that more caring, more supporting, more of a divine society that is sharing and giving and receiving in abundance. there. Smile and relax. More of you wants to join with you. More of you is your higher essence self, that which is non-physical that wants to come into you and be part of your experience. You have arrived. Full energetic connection to source is always available. Ask for it, feel it, see it in your minds eye. Relax into presence. Even if the world is going full speed ahead. Even if you feel caught in the speed of it, in the duality of this world, the right and wrong, good and bad; let go and be. Follow your bliss. Be good to yourself. A lot is going on under the surface of you and the surface of Gaia. A rebirthing, a releasing, a relinquishing and it is all for a new existence the more we let go of our own. It is like our old crusty shells of separation are being cracked off to this softness. Rest in the sweet succor of yourself that is soothing with source connected to your crown. Rest grounded on Mother Earth. Everything is happening to support you. Feel the exchange of love with Mother Earth, and with the cosmic heavens that is there for you. Feel gratitude on all levels . Feel gratitude for what you eat, the ground you walk on. Feel gratitude for green shots coming alive from the earth. Thank the rain. Thank the sun and receive the light that has codes of awakening and enlightenment. Thank the flowers. The stars are shining you home. Thank you for reading and for being an awakening being earth. Feel free to contact me for support in the shift.